OSLO (May 8, 2012)—An array of activists, abolitionists, and artists will take the podium today to bring some of the world’s most daunting humanitarian issues to the forefront of global awareness. The 2012 conference—titled Out of Darkness, Into Light—begins with a performance by Grammy-nominated singer and Fugees collaborator John Forté. Today’s program will feature slavery survivor and anti-human trafficking activist Somaly Mam; actor and advocate Julia Ormond; Saudi women’s rights activist Manal al-Sharif; and a presentation on the world’s last communist police states from photographer Tomas van Houtryve. We will also unite activists, bloggers, and journalists from five countries across the Arab world in a panel discussion to reflect on the region’s upheaval and its future. It will be moderated by BBC News reporter Philippa Thomas and will include Moroccan journalist Ahmed Benchemsi; Tunisian writer Lina Ben Mhenni; Libyan cyber activist Ghazi Gheblawi; Bahraini rights activist Maryam al-Khawaja; and Sudanese blogger Amir Ahmad Nasr. The day will close with a session—Spotlight on Repression—that will provide an unflinching examination of some of the world’s most skillfully hidden repression, with speeches from Equatoguinean rights lawyer Tutu Alicante; West Papuan independence leader Benny Wenda; Zimbabwean journalist and human rights activist Jestina Mukoko; and Kazakhstan’s Respublika newspaper correspondent Alexey Tikhonov; as well as a special video message from Singaporean opposition leader Chee Soon Juan, who was denied permission to travel to attend the Forum by Singapore’s authoritarian government. A full schedule of the speakers and program can be found here. All conference programming will be streamed live in high-definition at www.oslofreedoforum.com, beginning at 9:30am Central European Time (3:30am Eastern Standard Time). Viewers can participate in the panel discussion by following the Forum on Twitter at @oslofreedomfrm and using the hashtag #OFF12 to ask questions, or by emailing questions@oslofreedomforum.com. 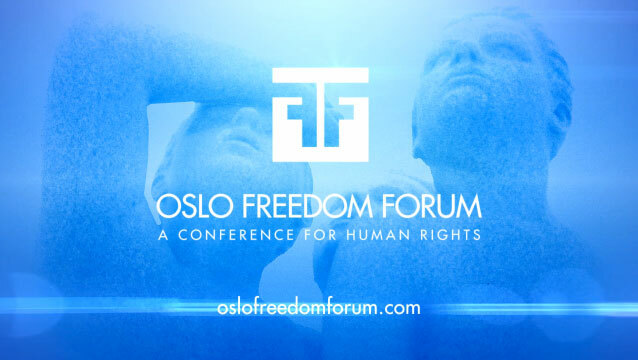 All talks and panels at the 2012 Oslo Freedom Forum will be uploaded to www.oslofreedomforum.com beginning on May 14. 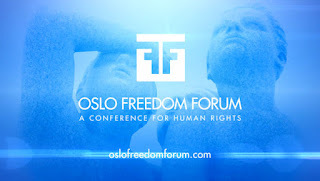 If you have any questions about the live stream, please contact us at livestream@oslofreedomforum.com. It seems very interesting! I will try to participate.